Rabbi Jonathan Sacks, Chief Rabbi of the United Hebrew Congregations of the Commonwealth in the United Kingdom offers a refreshing and insightful commentary to the Koren Haggada, together with illuminating essays on the themes and motifs of the Festival of Freedom. Sensitively translated, the traditional texts are carefully balanced alongside the Chief Rabbi’s contemporary ideas, in a modern and user-friendly design. 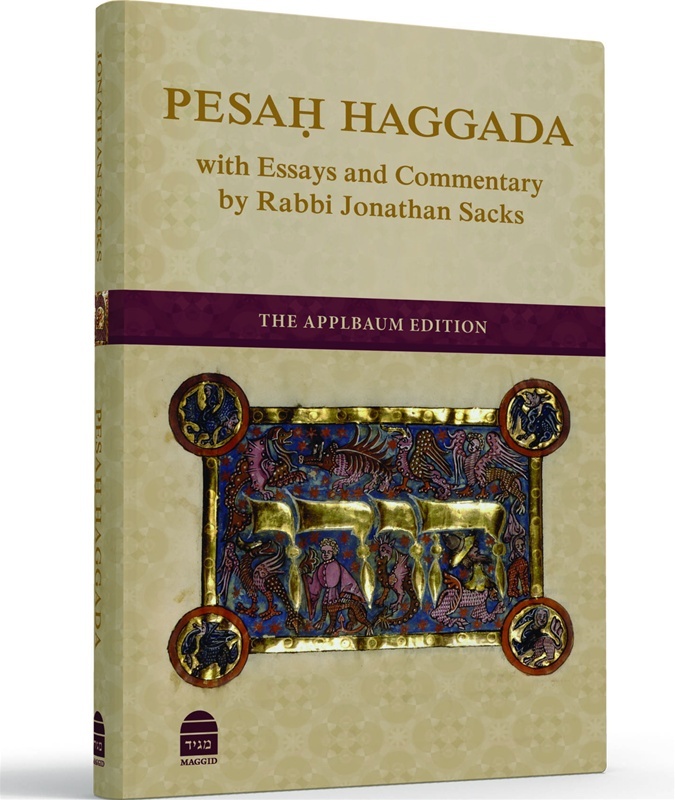 With new interpretations and in-depth analyses of the Passover liturgy and ritual, Rabbi Sacks’ style is engaging, intelligent at times daring in its innovation and always inspiring. With essay titles as diverse as “Pesah, Freud and Jewish Identity” and “Pesah and the Rebirth of Israel,” as well as explorations of the role of women in the exodus, and the philosophy of leadership and nation-building, the Chief Rabbi’s Haggada is a thought-provoking and essential companion at the Seder table.